Tyler Bunch just tweeted "Studio time tomorrow" with the Season 50 logo. Does this mean they're beginning production for the season? LittleJerry92, Froggy Fool, ConsummateVs and 1 other person like this. Yes, they've just started filming season 50. Ryan Dillon made a post about it on Instagram. Guess this means we'll be getting BTF again soon too, eh? Pig's Laundry, LittleJerry92 and Froggy Fool like this. Certainly hope so! That series is so fun and intriguing to watch and chat with the folks. I wonder why Eric Jacobson and David Rudman are never on it. Eric Jacobson seems very private along with David Rudman. I wonder if they’re worried because they have Frank’s characters and you how people get about them. They do seem pretty private, which makes sense given their career choice. They also do the stream during the lunch break, so it's possible that they just want to have as much time as possible to take a break and eat. 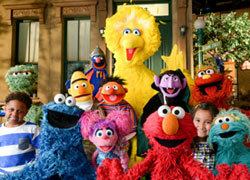 Upon watching this I cried tears of joy... Caroll Spinney, I salute you! Katzi428, mbmfrog, Froggy Fool and 2 others like this. It also seems like Eric Jacobson very rarely does interviews, less so than other performers. Eric seems like kind of a shy person. 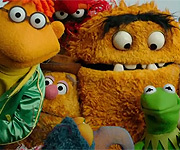 I remember when he started doing talk show appearances with his characters (Grover, Fozzie, etc. ), he seemed to hesitate and stumble quite a bit. I think even the 40 years book mentions the characters he plays being so outspoken despite him being so softspoken. Yeah, you can particularly feel a bit of awkwardness when he did Miss Piggy in his earlier years. I actually saw some pictures of the set for Season 50. They added some pretty cool things. If you look closely at the floor in the entrance between Hoopers and the Laundromat (I think) it says 1969 in the tiles, similar to how a lot of old buildings have that. And also, remember how Back in the 70s and 80s they used to have all those number stickers in the arbor area by the garage? Well, they’re bringing them back, sort of. But this time, they’re actually pictures of old cartoons. 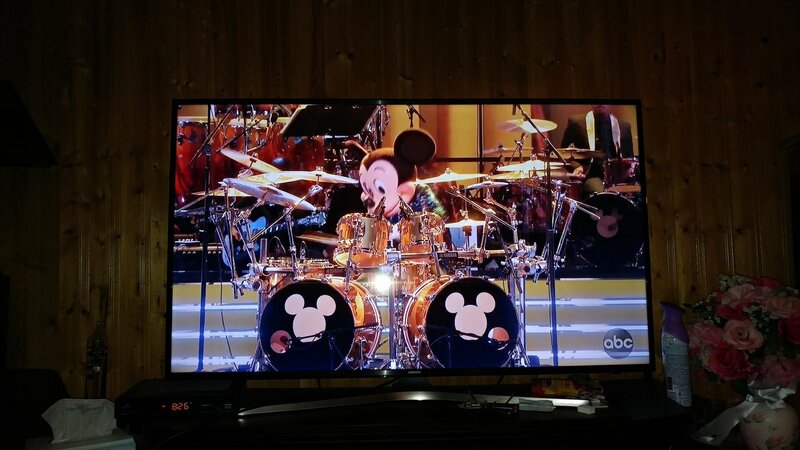 Also, I don’t know if anyone watched Mickey’s 90th Spectacular tonight? I have to say it truly was amazing. It almost made me cry. They had all different kinds of celebrities paying tribute to Mickey Mouse by singing popular Disney songs, sharing memories, etc. I’m sure you’re gonna say, “What does that have to do with Sesame Street’s 50th Anniversary?” Well, I hope the prime time special that’s airing on November 10 of next year is just as good, if not better. I don't what to think of the redesigned head; in some ways it looks like at an '80s throwback which is cool, but seems kinda unnecessary. Like I literally don't think Goofy's head has been altered for like 30 years and it's a mandatory thing to change Mickey's every 10. I wasn't in to that special at all. Some of the musical performances were fine; half of them had nothing to do with Disney, and it all felt so weird treating this Mickey costume as the "real" Mickey. It's not like Kermit where he's an actual, physical thing. SW can definitely put out something with more love and care, and not have anyone doing their latest hit single or promoting their new Disney Channel movie. Any Del, Bliffenstimmers, ConsummateVs and 3 others like this. Disney's Christmas parades are literally hour long Disney Parks ads, but at least they go all the way and have the feel you expect from the Disney brand. But, somehow, adding all those pop songs made the Mickey special feel even more like a commercial. I figured there's a reason I don't even bother to watch things anymore. Got links to these pics? Because I just watched the Today Show video, and I didn't see either of the things you mentioned. The only noticable differences I saw with the set was the tenament door between the Laundromat and Hooper's appears to be now be faded and weathered, and it looks like they may or may not have finally replaced the brick wall (the one that was made from the side walls of Furry Arms and Finder's Keepers) next to Big Bird's nest with more stained-glass windows.